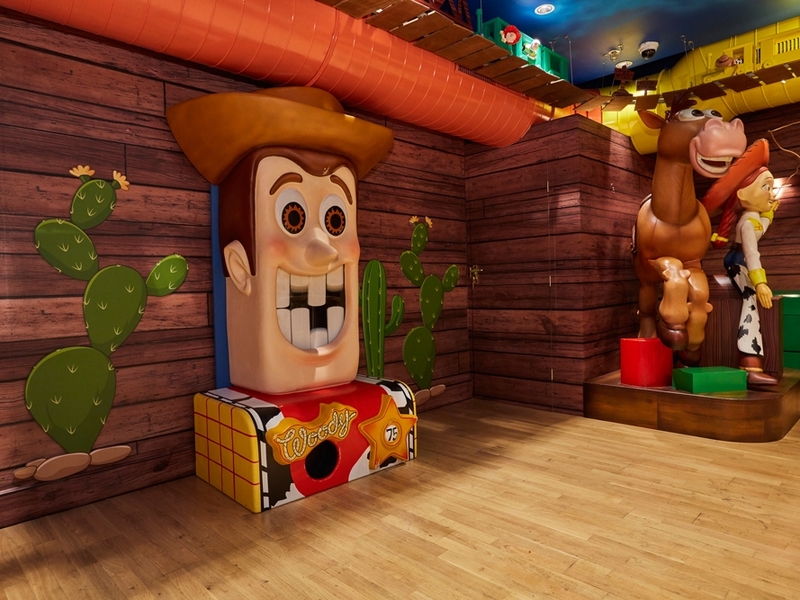 Working directly for Disney handling the creation and installation of the main features within the Harrods children’s café, Propability delivered a Toy Story themed eatery to keep the attention of children of all ages. 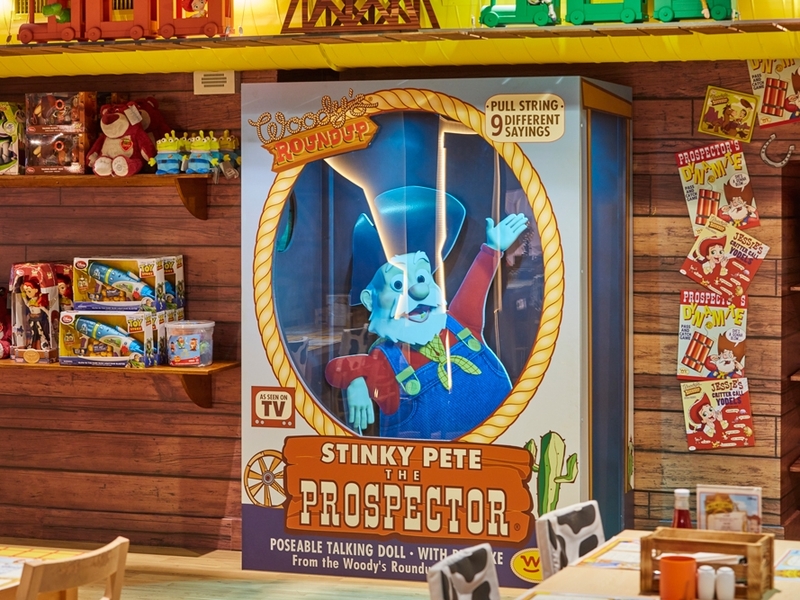 A number of interactive elements were installed including a 3D flat backed Carnival Woody head sculpt with moving teeth, a semi relief Woody Radio, toy train track accessories, bridges and signs all in stained plywood and a Stinky Pete box. In the center of the space a central column was layered and stained to make different sepia style wooden cladding with three sides of the column featuring interactive push buttons with sound effects. 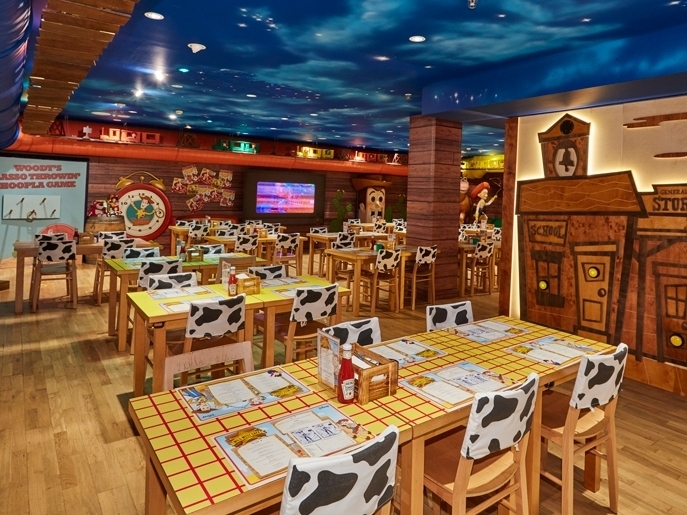 Finally, printed cow fabric seat covers were provided as well as clever lighting solutions to illuminate the features.